Trial presentation requires lawyers to explain technical or complex rights to a jury. Our firm is familiar with the process of putting together exhibits with the assistance of doctors, accident reconstruction experts and other professionals who can explain things clearly and simply. The professionals of Cioffi Law Firm have been honored to help clients involved in some of the largest and most complex injury cases in this area over the last few decades. We put that same expertise to use in every case we handle. Cioffi Law Firm is a Raleigh-based law firm with years of experience dealing with some of the biggest and most difficult cases in North Carolina. Other lawyers hire us to work with them because of our ability to handle complex medical or insurance cases. We are a group of legal professionals with experience in over seventeen areas of law. Super Lawyers is a trademark selection process and is one of many lawyer rating services. The name itself does not imply any literal interpretation but is merely a peer review rating of lawyers in the field. Undoubtedly, you have many questions about your legal claim. We have answers. If we meet in person, we will discuss those. In the meantime, some of the information may be of some help to you. This is not legal advice but general information and does not create an attorney client relationship but we hope it may be of some help. What should I do after I've been injured? The most important first step is to seek proper medical treatment, from a reputable doctor who is skilled with your particular type of injury. Specialists can be expensive, but are well worth the cost when you consider that your health over a lifetime will be affected by the quality of medical care you get at the very beginning. Next, consult with a lawyer who can help you recover damages for the physical, emotional and financial tolls of an unexpected injury. What are the three main issues involved in every auto accident case? In a personal-injury auto accident case, three issues are involved: liability, damages, and coverage. The issue of Liability focuses on who was at fault for causing the harm and loss involved. The Issue of damages centers on the value of the harm and loss caused. The issue of coverage addresses who is going to pay for the harms and losses. What is important in understanding the liability issues? In broad terms, determining liability involves determining who was at fault for the wreck. This may include as many as five other issues concerning the conduct of the parties involved, such as negligence, contributory negligence, last clear chance, employer negligence and aggravated conduct. Negligence is the failure to use ordinary care, the level of care that a reasonable and prudent person would use under the same or similar circumstances. That is, was the other person (the wrongdoer, often called the tortfeasor or defendant if the case is filed as a lawsuit) careless and did their carelessness cause you (the victim or plaintiff if the case is filed) harm or loss? This is what you must show to recover from another person for negligence. The issue of Contributory Negligence is a defense that the wrongdoer (the defendant) can raise to avoid having to pay you money even if they are negligent. When this issue is raised, your conduct is also scrutinized. This issue can be phrased “Did the plaintiff contribute to her injuries?” Contributory negligence is based on the same standard of reasonable care as negligence. Unfortunately, North Carolina is one of just a handful of states that still apply this legal doctrine in its purest form, as a complete bar to recovery. This means that if the plaintiff was negligent at all, even only 1% at fault when compared to the defendant, in a way that caused the accident, then the plaintiff will receive nothing at all for her losses. For example, let's take an intersection case in which the defendant has the red light but drives right through the intersection and hits the plaintiff who has a green light. On the first issue, the defendant will probably be found negligent for unreasonably running the red light and colliding with the plaintiff. On the second issue of contributory negligence, the plaintiff may have problems, however, if she testifies: "I saw my light was green and just proceeded into the intersection," and when asked if she first looked left and right to see her way clear answers "No, I just looked at my green light and I just went into the intersection." If the jury decides to find her failure to see her way clear before entering the intersection to be a cause of the collision, even if it pales in comparison to the fault of the defendant, she will not be able to recover for her injuries. Accordingly, it is important that claimants understand the contributory negligence rule before they give recorded statements or before they testify at their depositions, so they will appreciate such issues, which are potentially of interest to the insurance adjuster. Is the wrongdoer’s other conduct important? Sometimes the wrongdoer will engage in conduct that goes beyond mere carelessness. This may rise to higher levels of aggravated conduct that the law considers worthy of punishment or special consideration. For example, drinking while driving may be considered careless and reckless behavior that would give rise to punitive damages (to send a message or teach a lesson) in addition to compensatory damages (just the harms and losses actually caused). Or, the defendant’s conduct may be considered gross negligence, and be bad enough that the plaintiff’s contributory negligence would not apply. It is important to explore all the facts in every case to determine if any of these aggravating circumstances apply. What if the wrongdoer was given a ticket? NOTE: There are two separate justice systems, the criminal system and the civil system. The same conduct may lead to different activity and outcomes in each. For example, a defendant who crosses the center line and collides head-on and kills another motorist may be criminally charged with unsafe or careless driving under threat of criminal fine or prison time. This may also be conduct that is negligent and be the basis for a claim or action for money damages. For a variety of reasons, what happens in one justice system is not binding on the other. That said, there are often overlapping interests or interrelated evidence issues that make it important to coordinate the activities that take place in each forum. 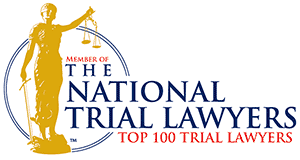 This also can be true in cases that do not involve motor vehicles, such as OSHA activity in on the job injury cases, Facility Services involvement in nursing cases, and FMSCA activity in tractor trailer cases. What is last clear chance? If the defendant is found to be negligent and plaintiff is found to be contributory negligent, then there may be a third issue to examine: last clear chance. Last clear chance examines the extent to which the defendant had a reasonable opportunity to still avoid the accident even after the plaintiff’s negligence and condition of peril became clear, sort of like an "escape" valve or "saving" provision when the defendantâ€™s conduct is still unreasonable even after the plaintiff’s fault is considered. On this issue, the jury is asked, "Did the defendant have the last clear chance to avoid the accident?" Last clear chance is rarely used; it comes up mostly in pedestrian cases. What are the types of harms and losses involved in an auto accident case? In most auto cases, you will be seeking compensation (claims) for two types of harms and losses (called damages), those for damage to property and those for personal injury (sometimes called bodily injury). The two types of claims often receive separate treatment and are usually handled by different insurance company representatives (called adjusters), even if they all arose out of the same accident. Commonly, there is not much disagreement about the value of certain types of property damage claims and these can often be handled without an attorney. In most cases, property damage claims can be settled separately from the bodily injury claims. Be careful not to sign away valuable rights, however, and make sure you know what you are signing and agreeing to before you settle any aspect of your case. While property damage claims can be settled separately from bodily injury claims, once a lawsuit is filed all claims must be included in the same lawsuit or they are lost forever. To What Property Damages Am I Entitled? In the event of a total loss to the vehicle, the law allows you to recover the fair market value of your vehicle. This is not replacement value, but fair market value, which can be viewed as the amount that a buyer that does not need to buy would pay a seller that does not need to sell. If the vehicle is not a total loss, the measure of damages in a property damage case is the difference between the fair market value of a vehicle before the accident and the fair market value of the vehicle after the accident. The cost of repairs is only evidence of what this amount is. In such cases, the repairs must be reasonable and you would also be entitled to s rental vehicle for a reasonable amount of time while your car is being repaired or adjusted and also damages for accelerated depreciation (also called diminution in value). Most of the questions that arise in this context are answered by the word reasonable. You are entitled to a substitute vehicle for a reasonable time, and the vehicle should be reasonably similar to your vehicle. This requires a common sense analysis. If you have a delivery truck, and you need to make your deliveries, they probably ought to provide you with a truck not a two-door Yugo because you need a vehicle that can serve as reasonable substitute. The time you are entitled to the use of a rental vehicle is the amount of time that it would take a reasonable person to repair or replace his or her vehicle. It is assumed that you will be looking while repairs or negotiations are taking place and that you will act reasonably. Of course, if you are seriously injured, that may affect how quickly you are able to mobilize and find a replacement vehicle. Here is an illustration of accelerated depreciation. If my neighbor and I go out and get brand-new cars on the same date, and drive them the same amount of time, and keep them in the same condition, they should be worth the same. Let's assume we each bought our cars brand new last year for $30,000 but they now have a have a fair market value of only $25,000, because we have each driven them about 10,000 miles in the last year (this is normal depreciation). Then, I am in a wreck in my car and it is badly damaged and requires $9,000 in repairs. Even if the repairs are done to perfection, my car will no longer be worth as much as my neighbor's previously identical car; it will be worth less, because it has been in a wreck that required extensive repairs, and will be less attractive to the buying public. The amount less that it is worth compared to other similar cars that have not been in a wreck - is the amount of accelerated depreciation my car has suffered as a result of the wreck. This is accelerated depreciation. How can you determine how much it is? Get estimates and comparables from books, such as NADA or Kelly Blue Book, which can be found at banks or dealerships, or online at the same sites or others, such as Edmunds.com, Cars.com or the like. You will be trying to approximate private retail sale of a comparable vehicle, something between a private retail dealership sale and a wholesale trade; OR Go to a dealership or car seller and get a written opinion about what your car is now worth after repairs compared to its worth just before the wreck, and before it was repaired; OR Go to an appraiser and get a professional appraisal. Usually that costs about $100. This is frequently money well spent because significant repairs, such as several thousands of dollars, will often change the overall value of a car several hundreds or even thousands of dollars. In many cases, a professional appraisal is more respected, more reliable, and worth doing. Under many policies, disputes over accelerated depreciation must be decided by appraisal, a process similar to arbitration. To What Am I entitled to for my Personal Injuries? There are five elements of damages for personal injuries. North Carolina law recognizes damages for medical expenses, lost wages or earnings, loss of use of part of your body, pain and suffering, and permanent injury. These are the reasonable expenses you incur for doctors or hospital treatment or other health care expenses a doctor will say were reasonably necessary as a result of the collision. NOTE: Recent changes by the North Carolina Legislature have affected the extent to which you can recover all these expenses in tort, and the parameters of this new rule are being explored as you read this. It may be years before this area of the law is well settled. These are amounts you lose because your injuries prevent you from working. You will usually have lost wages if you are an hourly earner. You will need to exmine lost earnings if you are self-employed or compensated on some basis other than hourly wages. Your tax returns often will be required to corroborate your hourly rate or earnings history. You are not automatically precluded from receiving damages for lost wages or earnings even if you receive sick pay or short-term disability benefits because North Carolina recognizes the so-called "collateral source rule." The temporary or total loss of use of all or part of your body is a recognized element of damage. For example, if you cannot walk because of broken legs, you may be entitled to a temporary total loss of use of your legs during their healing. If you permanently lose the use of one of your legs, for example, or require it to be amputated as a result of the accident, the law recognizes the permanent total loss of use of part of your body. The law also takes into consideration a permanent but partial loss of use of part of the body, such as when a doctor says you will have a 5% permanent impairment to your leg as result of the wreck. The law provides that a person is entitled to compensation for the physical pain and mental suffering they incur as a result of their injuries. This also may be a permanent item of damages. Valuing pain and suffering is usually decided on a case by case basis; depending on the unique facts of that case. Arguably, the most important element of damages is permanent injury. If a doctor says that a person's injuries are permanent, it may give rise to damages for the remainder of that person's life. That is the injured person may recover one lump sum for all medical expenses, lost earnings, pain and suffering and loss of use they will suffer for the remainder of her life. Obtaining this evidence is often difficult and complicated and an area where a skilled attorney is of enormous value. You may not be able to obtain this evidence and calculate the amounts involved until you have been treated or followed for quite some time, depending on the doctor and the injury. Generally, it is determined after you have reached maximum medical improvement. In order to recover any item of damages you need to show that it is proximately caused by the defendant’s negligence. This can sometimes be quite involved. Being able to prove this element will often hinge on obtaining an opinion from an expert witness or a medical doctor. This again is an area where a skilled attorney can make an enormous difference in the outcome of a case, by carefully focusing on this aspect of the proof. How long do I have to bring my claim? Statutes of limitation are outside limits when a suit must be filed to preserve one's rights. The North Carolina Courts have repeatedly upheld these rigid deadlines for filing lawsuits, and one can lose an otherwise valuable legal right by waiting too long to properly file a lawsuit. Different types of claims have different statutes of limitation. One should ascertain as soon as possible what the likely statute of limitation would be for a particular type of claim (there are a number of different statutes for different complained-of activities and injuries) so that the deadline does not pass. This is an important aspect of any case and should not be ignored. A trial verdict in 2012 of about $15 million for seven victims injured in the Conagra Plant explosion in Garner, NC. More than $2 million for the family of a young boy killed due to a life insurance company's negligence. More than $1 million for the family of a young woman killed due to hospital medical malpractice. More than one million dollars for a young woman who suffered a brain injury in a city bus wreck. An undisclosed amount for the death of a man due to medical negligence by a doctor during a routine colonoscopy. A confidential settlement for 27 victims who were injured due to supply chain errors, corporate negligence and hospital errors. 2015 Confidential Wrongful death recovery of over one million dollars for man who was killed in a wreck caused by a tractor trailer driver whose attention was diverted and ran a stop sign. Even though the victim had spent the better part of his adult life in prison, we were able to show the extent to which he was loved by and devoted to his wife and newborn son. 2016 Confidential settlement of over 900 thousand dollars for ambulance patient who was injured when the vehicle crashed and he suffered bilateral shoulder injuries that required surgery and a back injury that ended his career as a mechanic. 2016 Confidential settlement of over 800 thousand dollars for multiple orthopedic injuries and PTSD from tractor trailer wreck. Cases mentioned are illustrative of matters handled by the firm or Mr. Cioffi; Case results depend upon a variety of factors unique to each case; not all results are provided and obviously not all facts or issues in each of these cases are detailed; Prior results do not guarantee a similar outcome in any future case. Please tell us about your case and we will let you know what we can do to help you. © 2017 Cioffi Law Firm, LLC. All Rights Reserved.